Today I made a pit stop at Whampoa Drive Makan Place to check out another apparently popular stall called Singapore Fried Hokkien Mee (新加坡炒福建虾面). The first interesting thing I notice about this stall is that ordering and servicing is not from the front of the stall but by the side. That is an unique stall layout compare to the rest of the stalls in Singapore. 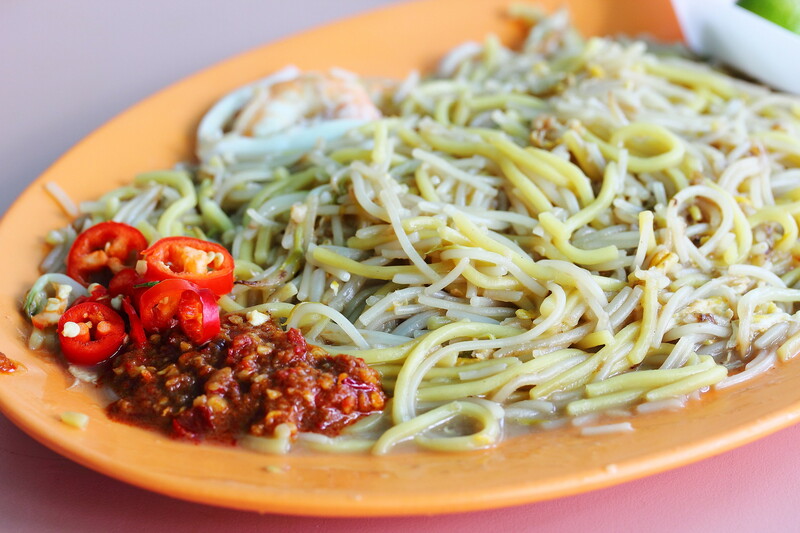 Sighting the plate of Fried Hokkien Mee, I noticed that the ratio of the beehoon is more than the yellow noodles. The plate of noodles actually was pretty flavourful and tasty, soaking up the essence of the broth. However it lacked the aroma from the pork lard and garlic. 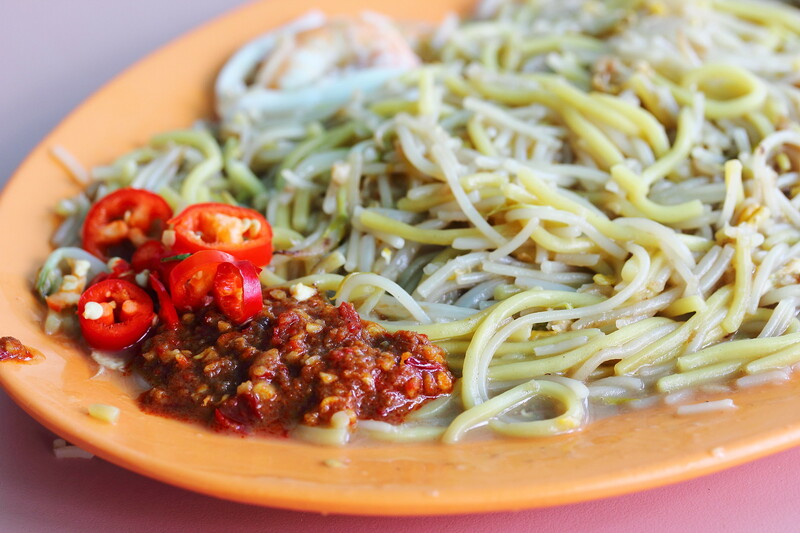 Another important element for a good plate of hokkien mee is the chilli. I like to mix the chilli with the noodles and have it together. The chilli here complemented the noodles very well. 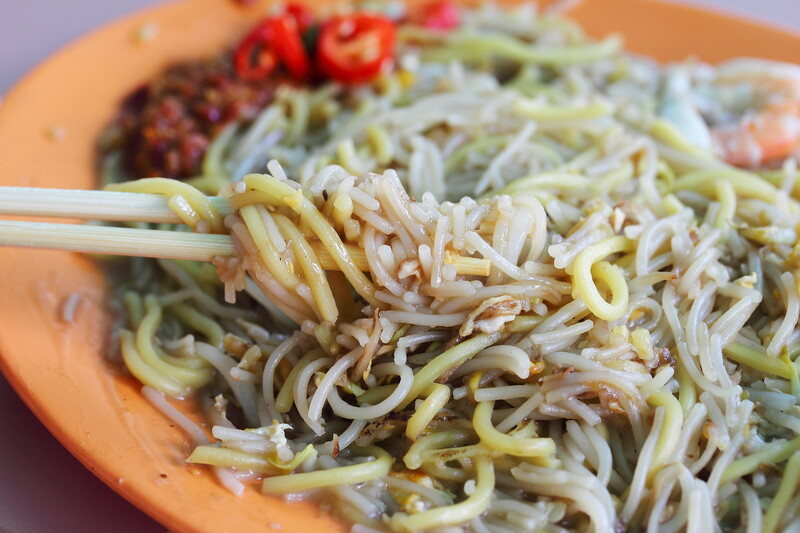 I find the plate of fried hokkien mee pretty good except for some nitty gritty details such as garlic and pork lard. The extra effort would have bring them to the next level. However looking at their popularity with long queues most the time, I doubt they would or even need to put in the effort work. 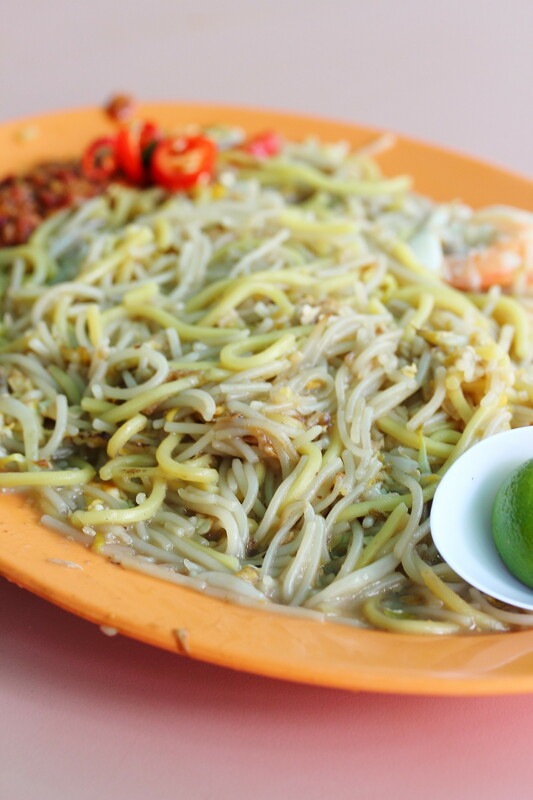 Overall it is still a good plate of fried hokkien mee and worth the try. Looks good cos it is not too oily. Fried Hokkien mee usually not very oily.